Travel to Asia and make plans all by using the AsianDate blog. Step one: find the woman of your dreams. Step two: meet her in person. Step three: travel to Asia. Love will open the doors to Asia. 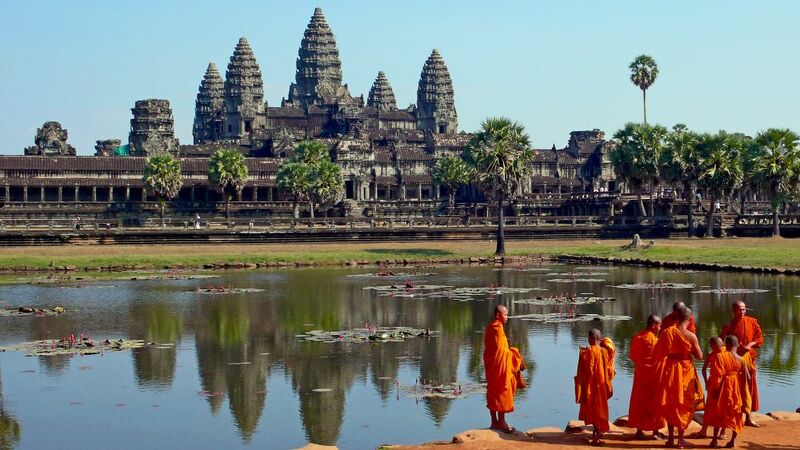 Travel to Asia to meet great people and beautiful landscapes, cities, and cultures. If you’ve decided to travel to Asia, learning everything possible about the part of Asia you wish to visit most is a must. Discover the best parts to visit—the tropical beaches, the sparkling cities, even the lush, green forests. Where are you off to? Traveling to Asia can open you to a new realm of possibilities with an almost endless list of things to do, not to mention meeting the great love of your life. 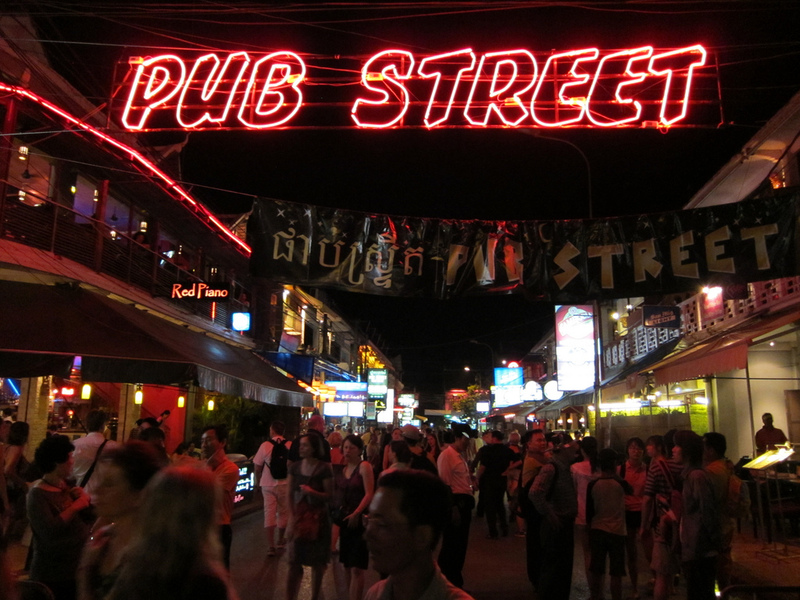 Think of this blog as an Asian travel guide to guarantee yourself the most rewarding experience. 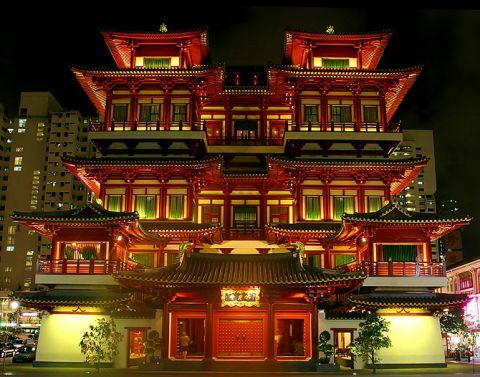 Stop here to receive the many beautiful gifts Asia has to offer. Even though there is no denying that Asia offers some amazing opportunities for rest and relaxation, it is not all about ancient temples, perfect massages and exotic cocktails by the beach. There are also a number of exciting opportunities for real daredevils in Asia. What is so attractive to daredevils in Asia? It has to be the perfect combination of the wild, unspoiled natural backdrop as they indulge in some of the wildest, most dangerous adventures. If you are one of those people who get their kicks out of risking life and limb and also enjoy visiting exotic destinations, this article is an absolute must-read. If jumping off a tall tower into the void is your idea of fun, you will definitely find the world’s highest commercial bungee jump (at a breath-taking 233m) an irresistible challenge. This is how tall the Macau Tower is, but if you’re used to jumping off bridges with the calming sight of water underneath, you will find this experience quite different. You see, in the case of Macau Tower there nothing but concrete (and a specially designed airbag on which to land) waiting for you as you jump. Of course, the urban allure of the neon skyline of Macau will make this experience quite indelible for daredevils in Asia. If you love water and exploring the natural treasures lying in the bottom of the sea, Palawan Island in the Philippines is an ideal destination. With their pristine waters and rich underwater life, like coral reefs and all sorts of exotic fish, it’s no wonder places like El Nido and Coron are so popular among daring snorkelers the world over. And finally, for those who prefer the cool air of mountains and the unique sense of freedom they provide visitors, there is no mountain destination more well-known than the legendary Mount Everest, the world’s highest mountain at 8,848m above sea level. 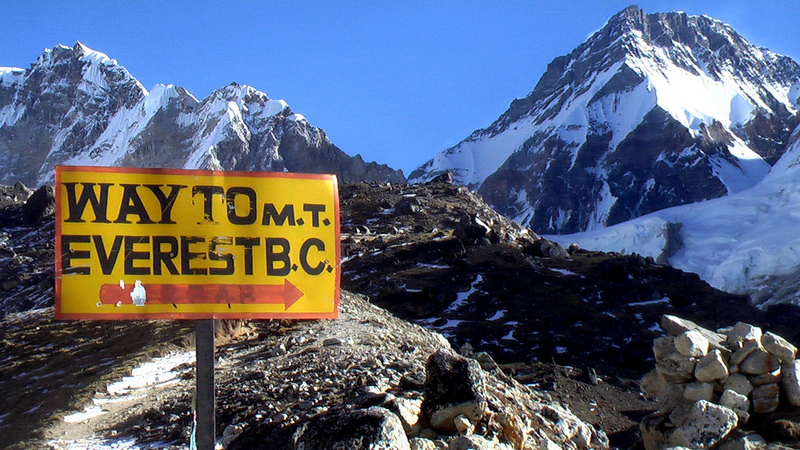 If climbing is not your thing, you can actually trek it to the Southern Everest Base Camp at the awe-inspiring height of 5,364m. This is a perfect alternative to just climbing the mountain, as it offers trekkers wonderful insight into the local culture as well as the all-important mountain views that visitors can’t get enough of. So, whatever their activity of preference, adrenaline-junkies will find the perfect chance to have fun here. It’s no exaggeration to say there is something for all kinds of daredevils in Asia. We hope that you enjoyed reading this. 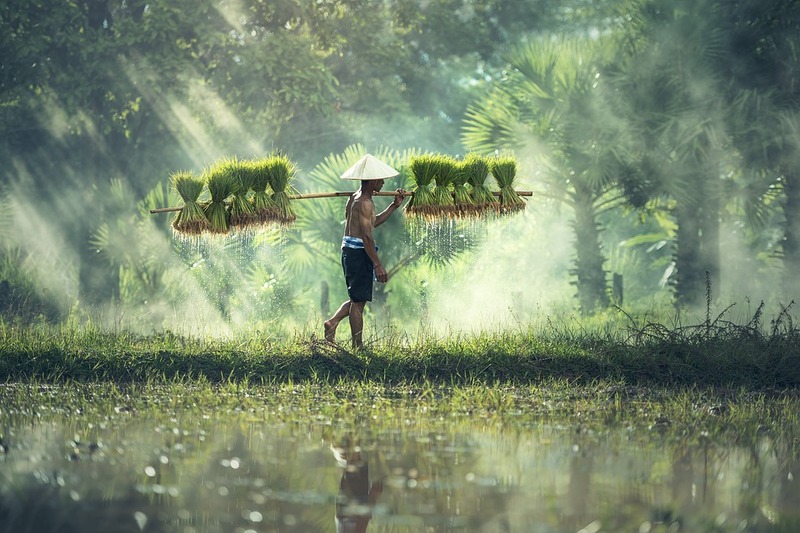 If you’re dreaming of visiting Asia, there are more articles about it on our blog. For the chance to meet Asian ladies who will fascinate you as much as their place of origin’s beauty, visit AsianDate today. You can also visit our YouTube channel for more. Whatever your taste in films and whether you’ve been to Asia in the past or not, if you love films and also like to travel, these movie-inspired Asian destinations are just the thing for you. Asia is gorgeous; we all know that even if we have never visited the place. Some of the most well-known films have contributed to the popularity of the biggest continent as a travel destination. Here are some of them. In 1862, Louis Thomas Leonowens was just a child when he visited majestic Bangkok. He spent 5 whole years in Thailand’s Royal Palace as a resident with his mother, Anna Leonowens. It is his mother’s tales that became the inspiration behind not one but two films: the first, 1956’s “The King and I” and the most recent (1999) “Anna and the King”. Anna worked as a teacher at King Mongkut’s children for 5 years. The Grand Palace, where it all took place, and where the blackboard used by Anna and the kids still exists, is not one single building. It is a breath-taking, sprawling complex of intricate golden spires, carefully carved traditional temples, all set around open lawns, gardens and magnificent courtyards, all of which have undergone changes and additions by successive reigning kings over the place’s 200 years of existence. 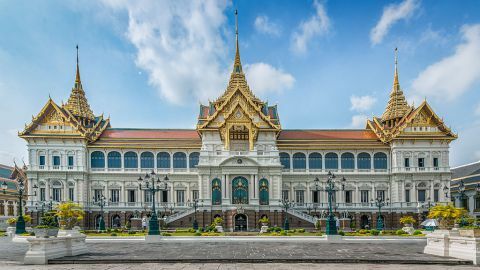 The Grand Palace is the location where Anna Leonowens spent 5 years looking after King Mongkut’s children. The mush-loved French language film narrates the story of a French plantation owner (the wonderful Catherine Deneuve) during the Vietnamese people’s struggle for French Indochina’s independence from France. It can be credited with putting Vietnam on travelers’ maps with its beautiful scenes. In Hanoi, you can still visit the café where Deneuve took her breakfast every morning during filming. The opening scene of a funeral procession of boats on Hue’s infamous Perfume River is so atmospheric you almost feel like you are there yourself. 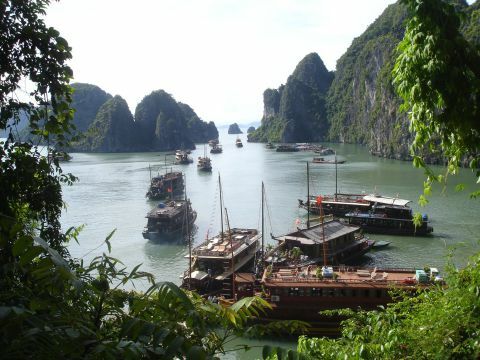 Throughout the movie, there are a number of locations across Vietnam including Halong Bay, even though most of it is shot, Hue. There is also a wedding scene taking place in the magical palace of Emperor Dong Khan, and one with Deneuve and her on-screen daughter which is shot in a pavilion overlooking a lake in the city of Emperor Tu Duc. It is worth noting that there were a number of popular films shot in Vietnam before “Indochine”, but almost all of them were American war films that didn’t really do justice to this place of wild beauty and charm. Perfume River is one of the most atmospheric locations in the classic film “Indochine”. 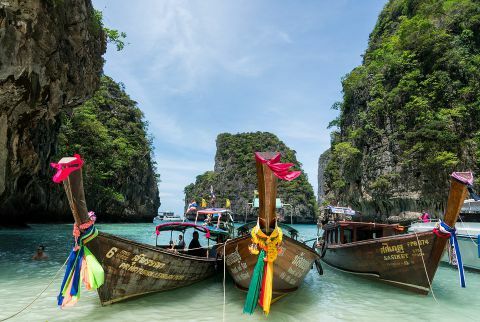 Danny Boyle’s 2000 adaptation of Alex Garland’s novel became a hit not just thanks to the amazing performance of its protagonist, Leonardo Di Caprio, but also because of the magnificent views of an extraordinary beach in Phi Phi Leh Island, close to Phuket, in Thailand. 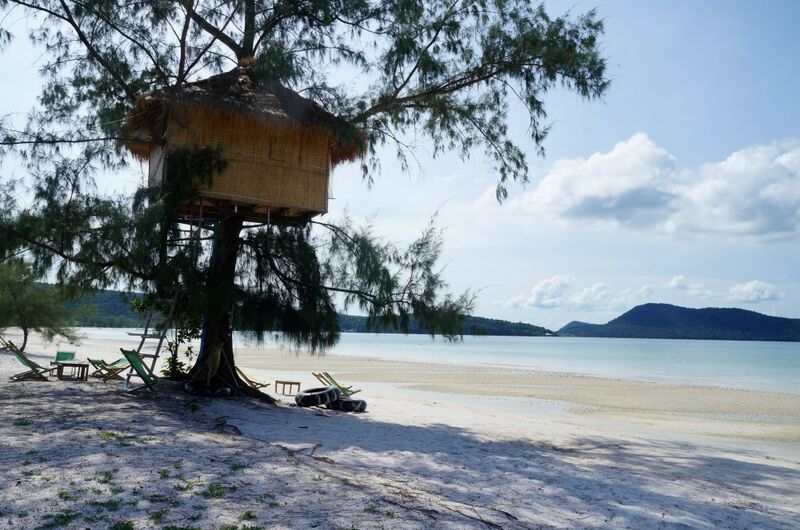 The area was one of those destroyed by the terrible 2004 tsunami but has managed to recover since and has regained its popularity among travelers who love exotic destinations. Phi Phi Leh Island is the majestic location of the much-loved film “The Beach”. The latest film to hit cinemas in the King Kong saga “Kong: Skull Island”, was shot in various locations around the world, with many of its scenes taking place in northern Vietnam. 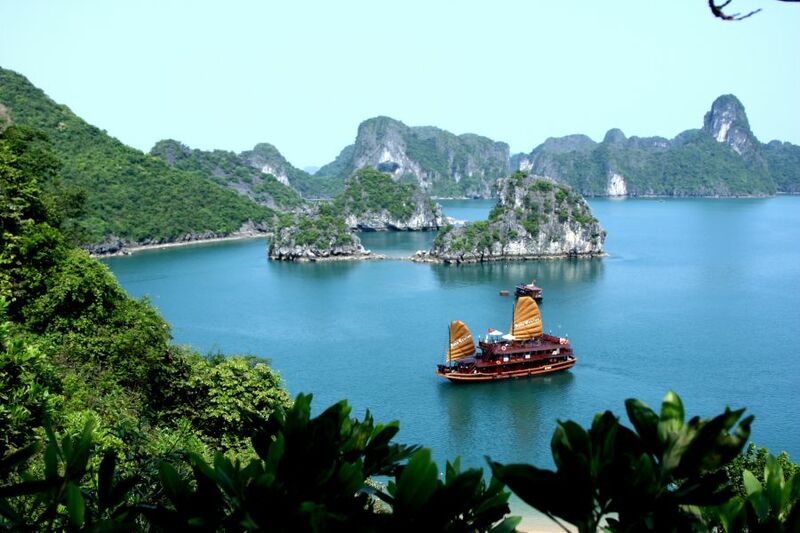 Aerial shots and helicopter chases took place in the dramatic limestone mountains of Ha Long Bay. Filming locations also include UNESCO World Heritage site Tràng An and the impressive Tú Làn Caves System. Ha Long Bay is one of the picturesque locations where “Kong: Skull Island” was filmed. The island country of Sri Lanka, in South Asia, is one of the most attractive film locations. Despite the fact that the actual bridge in the film is in Thailand, “The Bridge on the Rive Kwai” shows a very costly bridge (reportedly $250,000 at the time) specially made for the film itself, 425 feet long and rising 90 feet above the water. The film tells the story of a group of Japanese war-prisoner captors who were made to build a bridge over the River Kwai which, once completed, would help the Japanese connect Thailand and Burma (Myanmar). Director David Lean asked that the bridge is built in a small community called Kitulgala on the Masleliya Oya, a tributary of the Kelani River, between the Sri Lankan capital Colombo and Kandy. “Tarzan, the Ape Man” was a remake of the homonymous, iconic 1932 film. 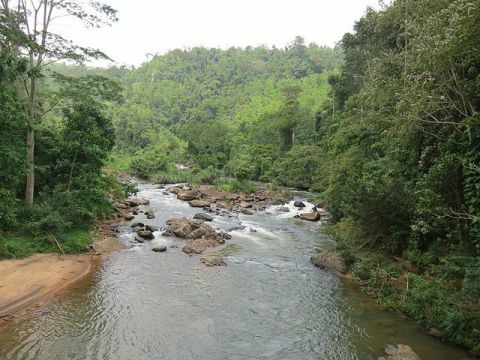 The 1981 film was mainly filmed in different parts of Sri Lanka’s Hill Country, but visitors who wish to swing on vines like the much-loved jungle hero will definitely appreciate the opportunities to do so in the Sinha raja reserve. Live the true Tarzan experience in the lush Sinha Raja reserve. The second film in the blockbuster series, “Indiana Jones and the Temple of Doom” was directed by Hollywood favorite Steven Spielberg and starred Harrison Ford in the legendary role of the brave archaeologist. When “Temple of Doom” was denied permission to film in Rajasthan (authorities thought the script was offensive), Spielberg opted for Sri Lanka’s second city, Kandy. Indiana Jones fans are certain to love the Temple of the Sacred Tooth Relic, in Kandy. 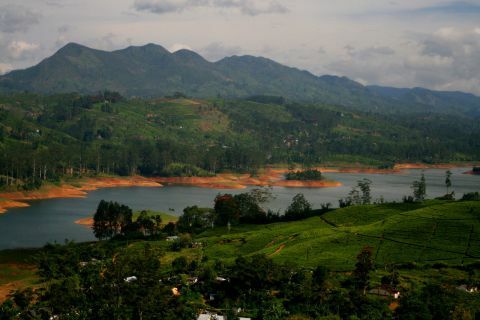 Today, Kandy is the gateway to the majestic Hill Country, and home to the Temple of the Sacred Tooth Relic, which is considered to be the country’s holiest spot, as it houses a tooth of the Buddha himself. If we haven’t convinced you of the unique beauty of these exotic movie-inspired Asian locations, perhaps watching one of the silver-screen gems mentioned above will. If you enjoyed reading this travel article and would like to read more about traveling to Asia, click here. 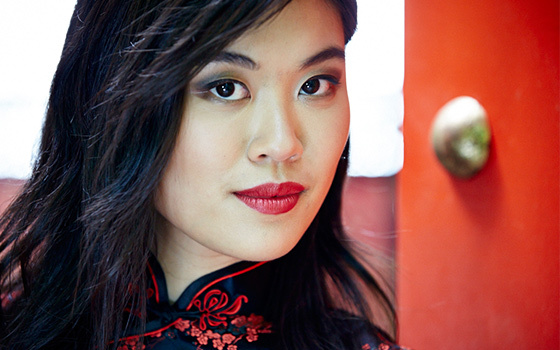 For the chance to find love with an Asian lady, you can visit AsianDate today. For dating and relationship advice, you can also find us on SlideShare. Japanese gardens (“nihon teien”) are traditional gardens that were masterfully created to symbolize the Japanese rituals and beliefs and create a perfect landscape. They started off as exclusive resting places for those in the upper classes, and thus most of them were closed to the public. Fortunately, things are different now and anyone can have the chance to admire their beauty. 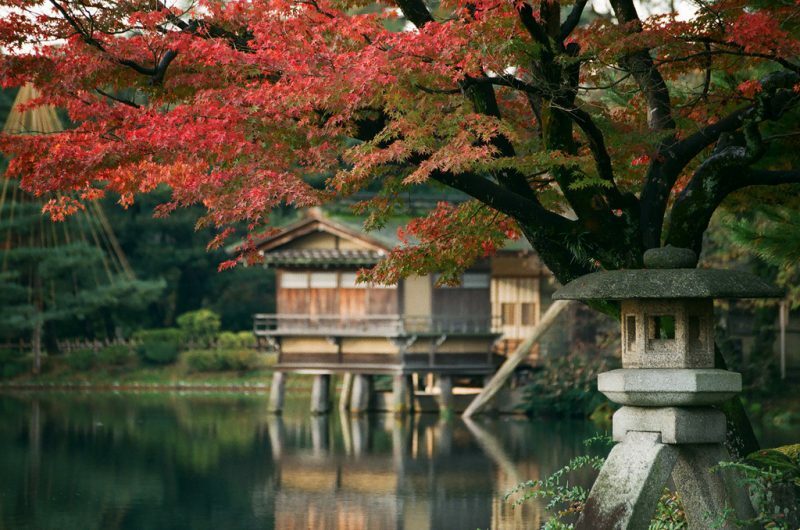 AsianDate takes you to the most renowned Japanese gardens: the Three Great Gardens of Japan. Kenroku-en in Kanazawa, Koraku-en in Okayama, and Kairaku-en in Mito are collectively referred to as the Three Great Gardens of Japan, (“sanmeien”). They were created to express the perfection of “setsugekka” which comprises of snow, moon, and flowers – 3 aspects of natural beauty at different times of the year that the Japanese absolutely adore. Kairaku-en means “a park to enjoy with people”. The impressive garden was built in 1841 by local lord Tokugawa Nariaki. Unlike the other two great Japanese gardens ( Kenroku-en and Kōraku-en), Kairaku-en was open to the public from the start. Kairaku-en looks unbelievable throughout the year but is at its best during the plum blossom season, from late February to March. The plum tree forest, where one can see 100 kinds of different plum trees with white, pink and red blossoms, is the biggest of its kind in Japan, with 3,000 plum trees. In its 127,000 sq. meters (31.4 acres), Kairakuen also features a bamboo grove, cedar woods and the Kobuntei, a traditional Japanese-style building. 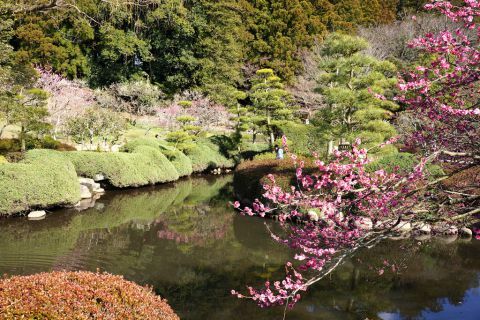 Kairaku-en is the only one of the Three Great Gardens that has always been open to the public. The “6 Attributes Garden” is located in Kanazawa, and it is a private garden. Kenroku-en is regarded as the perfect garden, as it combines everything: seclusion, spaciousness, artificiality, abundant water, antiquity and panoramas. Established in the 17th century by feudal lords, this wonderful garden is located in the heart of Kanazawa. This intricate garden took various gardening techniques and 170 years to finish. Walk along its circular paths with their large ponds and serene streams, admire the rolling hills and the traditional tea houses, and find your peace of mind in the unique combination of natural beauty and man-made architecture in Kenroku-en. The garden is open year-round during daylight. 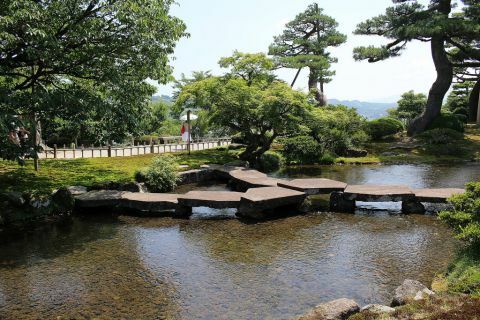 It is very famous among visitors for including the oldest natural-water fountain in Japan, Yūgao-tei, a teahouse that’s the oldest building in the garden, built in 1774, the Flying Geese Bridge, which is made with 11 red stones placed so as to look like flying geese, and the Karasaki Pine, which was planted from seed by the 13th lord Nariyasu from Karasaki. The Flying Geese Bridge is made up of 11 stones placed to resemble the formation of flying geese. 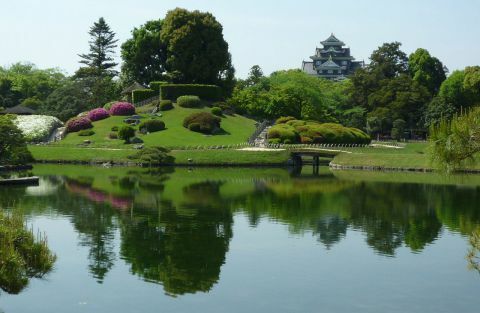 The 3rd of the Great Gardens of Japan in located in Okayama, to the north of Okayama Castle. It was created by the order of Tsunamasa Ikeda (the second lord of Okayama Clan) sometime between the 17th and 18th centuries. The garden was originally created to entertain upper-class guests and it is famous for its vibrant colors throughout the year. In the spring, plum and cherry blossoms color the scenery and give off an intoxicating flowery smell in the air, while irises and lotuses beautifully decorate the garden in the summer, and maple trees have their leaves turned red in the fall, to have everything covered with a white blanket of snow in the winter. 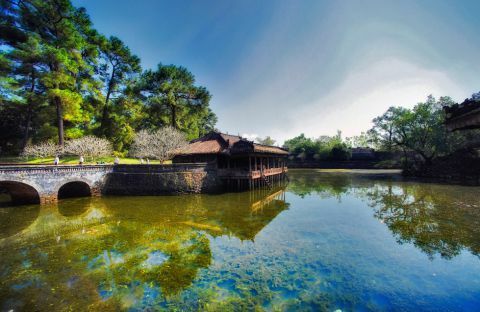 It was made in the Kaiyu (“scenic promenade”) style, which is amazing because it means that the visitor gets a different view at every turn of the path connecting the ponds, hills, tea houses, lawns and streams that the garden hosts. Follow AsianDate to Korakuen, a garden that looks amazing throughout the year. What are you waiting for? Follow AsianDate to the astonishingly serene gardens of Japan and marvel at the miracles performed where man and nature work in sync. 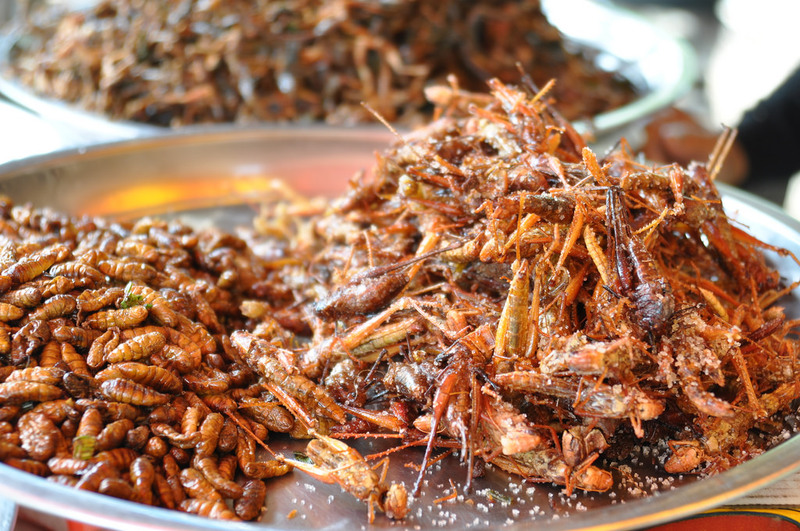 If you enjoyed reading this travel article, there are more on our blog. If you’re looking for advice on dating and relationships, click here. For those of you looking for love, don’t forget to visit AsianDate, where you can meet amazing Asian ladies.